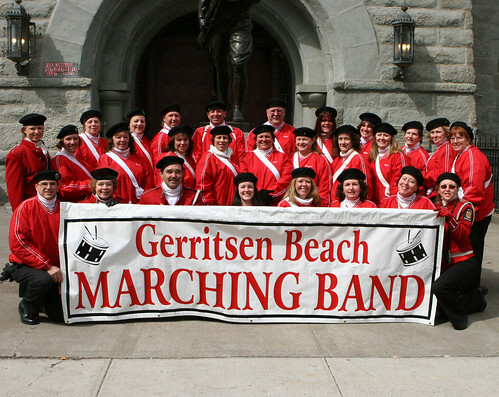 The Gerritsen Beach Marching Band is in need of more drummers and bell players. Â Instruments and uniforms will be provided and musical experience is not necessary. Â All that is necessary is a desire to memorize material, practice marching and rehearse together with a totally fabulous group of people. I can say that as a member of this terrific marching band that if you join us, you will have a great opportunity to give back to the community. In addition, you will have a wonderful experience while playing with a group of fun loving people that have lots of energy and enthusiasm. Why not show your pride… Not only for Gerritsen Beach, but for those along the parade routes that cheer you on? From our wonderful veterans that have served our country to the children that give you a smile and wave as you’re marching along. also consider Gerritsen beach volunteer fire dept also save a life!!!!!!!!! !feel great !!!!!!!!!!! !do a good deed for your community!!!!!!!!!!!!!!!!!! !